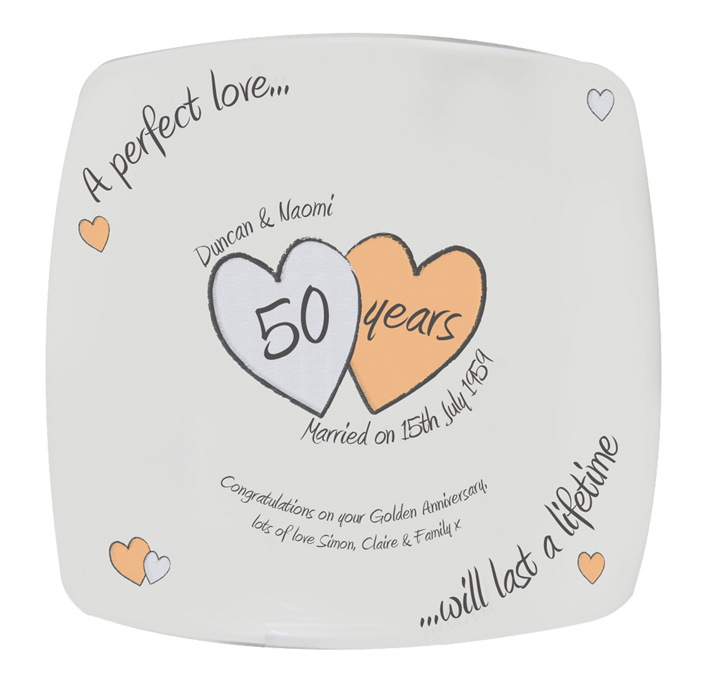 This modern square 8" anniversary plate is a lovely gift to celebrate your golden anniversary. 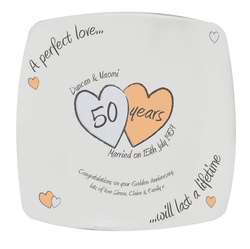 Personalised above and below the hearts with couple's name and date with up to 30 characters each and then inside the hearts with 50 years. The wording 'A Perfect Love... ...will last a lifetime' and 'Married on' is standard text.